Dr. A.P.J. Abdul Kalam’s inspiring speech addressing the the European Parliament at Strasbourg, France on April 24 2007. "Dream is not that which you see while sleeping it is something that does not let you sleep.".... these words are taken from A.P.J. 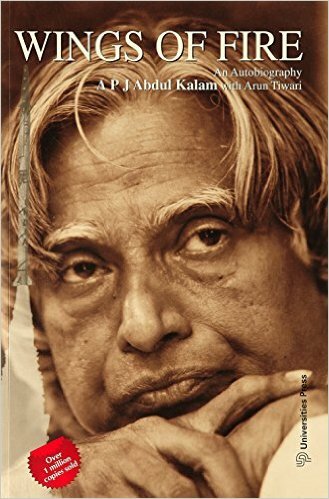 Abdul Kalams'Autobiography "Wings of Fire". 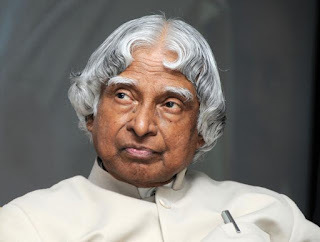 India's real hero, the missile man, great visionary, statesman, poet, scientist, the former President of India Dr APJ Abdul Kalam had passed away on July 27, 2015 in Shillong while giving a lecture on 'Livable Planet earth' to IIM students. Till his last breath he was active and was involved in various socio and technological activities. Avul Pakir Jainulabdeen "A. P. J." Abdul Kalam was born and raised in a poor family in Rameshwaram, Tamil Nadu. He became scientist in the field of physics and aerospace engineering and was later know as father of Indian Missile Technology. He became the 11th President of India from 2002 to 2007. Following is the text of the Dr. A.P.J. Abdul Kalam’s address to the European Parliament at Strasbourg , during his tenure as the President of India. "I am delighted to be with the Honourable Members of European Parliament on the occasion of the Golden Jubilee year of the European Union. When I am with you friends, I was thinking, what thoughts I can share with you. India as a democratic nation has the experience of providing leadership to over one billion people with multi-language, multi-culture and multi-religious systems. I wish to share this experience with you. 1. Evolution of enlightened society - for evolving a citizen with value system and leading to prosperous and peaceful world. 2. Leading to Energy Independence - A three dimensional approach for energy choice towards realizing clean planet earth. 3. World Knowledge Platform - for synergizing the core competence of European Union and India in certain areas for providing solutions to critical issues like water, healthcare and capacity building. The major challenge for Prof Vikram Sarabhai was to get the place in a specific area. As was normal, Prof. Vikram Sarabhai approached the Kerala Government administrators first. After seeing the profile of the land and the sea coast, the view expressed was that, thousands of fishing folks lived there, the place had an ancient St Mary Magdalene Church, Bishop's House and a school. Hence it would be very difficult to give this land and they were willing to provide land in an alternative area. Similarly the political system also opined that it would be a difficult situation due to the existence of important institutions and the concern for people who were to be relocated. However there was a suggestion to approach the only person who could advise and help. That was the Bishop "Rev Father Peter Bernard Pereira". Prof Vikram Sarabhai, approached the Bishop on a Saturday evening, I still remember. The meeting between the two turned out to be historical. Many of us witnessed the event. Rev Father exclaimed, "Oh Vikram, you are asking my children's abode, my abode and God's abode. How is it possible?" Both had a unique quality that they could smile even in difficult situations. Rev Father Peter Bernard Pereira asked Prof. Vikram Sarabhai to come to church on Sunday morning at 9.00 AM. Prof. Vikram Sarabhai went to the church again on Sunday with his team. At that time the prayer was progressing with the recitation of Bible by Father Pereira. After the prayer was over, the Bishop invited Prof. Vikram Sarabhai to come to the dais. The Rev Father introduced Prof Vikram Sarabhai to the mass, "Dear children, here is a scientist, Prof. Vikram Sarabhai. What do sciences do" All of us experience, including this church, the light from electricity. I am able to talk to you through the mike which is made possible by technology. The treatment to patients by doctors comes from medical sciences. Science through technology enhances the comfort and quality of human life. What do, I do, as a preacher? I pray for you, for your well being, for your peace. In short, what Vikram is doing and what I am doing, are the same - both science and spirituality seek the Almighty's blessings for human prosperity in body and mind. Dear Children, Prof Vikram says, he would build within a year, near the sea-coast, alternative facilities to what we are having. Now dear children, can we give our abode, can we give my abode, can we give the God's abode for a great scientific mission?" There was a total silence, a pin drop silence. Then all of them got up and said 'Amen' which made the whole church reverberate. Energy Independence in India - A Perspective: India has 17% of the world's population, but only about 0.8% of the world's known oil and natural gas resources. Based on the progress visualized for the nation during the next two decades, the power generating capacity has to increase to 400,000 MW by the year 2030 from the current 130,000 MW in India. This takes into consideration of energy economies planned and the design and production of energy efficient equipments and systems. Energy independence has got to be achieved through three different sources namely renewable energy (solar, wind and hydro power), electrical power from nuclear energy and bio-fuel for the transportation sector. Energy independence throws very important technological challenges to the world: The solar cell efficiency has to increase from the present 20% to 55% through intensified research on CNT (Carbon Nano Tube) based solar cells. For thorium reactors, as it is known, thorium is a non-fissile material. It has to be converted into a fissile material using Fast Breeder Technology. In the Bio-fuel area, the challenge is bio-fuel plantation for higher yield, esterification technologies for the higher output and the modification to automobile power plants. These three research areas definitely need intensive cooperation between Europian Union and India. I would suggest setting up of an "Indo-EU Renewable Energy Development programme" for taking up advanced R&D in all forms of renewable energy leading to the availability of commercial class large scale power plants within the next decade. Water: Desalination of sea water using solar energy, channelization, networking of rivers, cost effective safe drinking water. Healthcare: Diagnosis, drug delivery system, development and production of vaccines for HIV/TB, malaria and cardiac diseases, detection and cure of diabetics. Agriculture and Food processing: Increased production of food grain in an environment of reduced land, reduced water and reduced manpower; preservation of food; food processing; cost effective storage and distribution. Knowledge products: Hardware, Software and Networking and Storage Products including handheld micro and nano electronic devices. Transportation systems: Fossil fuel free transportation systems using renewable energies safety systems, hardware and embedded software integration. Habitat: Energy efficient, water efficient, pollution free habitat. Disaster Prediction and Management: Earth quake forecasting, assessing in advance the quantum of rain for particular cloud condition. Capacity Building: Quality human resource development for all the above areas including the development of personnel with world class skills. I would like to share with you a poem - "A Message from Mother Earth"
The people of the planet of my galaxy. Spread everywhere, like the air we breathe. Dear friends, Let me convey my greetings of one billion people of my country to all the Hon'ble Members of European Union and through you to all the citizens of European Union countries. He was a great teacher, reader, learner and writer. Dr Kalam authored and co-authored many outstanding and inspiring books . Famous Books of Dr Abdul Kalam are Wings of Fire , Beyond 2020 : A Vision for Tomorrows India , Tejaswi Man, Turning Points : A Journey Through Challanges , Reignited: Scientific Pathways to a Brighter Future, You Are Born To Blossom , My Journey : Transforming Dreams into Actions, Forge Your Future, Target 3 Billion: Innovative Solutions Towards Sustainable Development ,Inspiring Thoughts , You are Unique , Children Ask Kalam: Children And Apj Abdul Kalam, Bharat Bhagya Vidhata , Envisioning and empowerd Nation, A Manifesto for Change : A Sequel to India 2020 , Failure to Success , Mission India: A Vision For Indian Youth.Abdul Kalam's autobiography "Wings of Fire" was printed in 13 different languages and millions of copies were sold out. Once Dr Kalam said "If a country is to be corruption free and become a nation of beautiful minds, I strongly feel there are three key societal members who can make a difference. They are the father, the mother and the teacher."